Winemakers often store their wine in oak barrels during the wine making process. 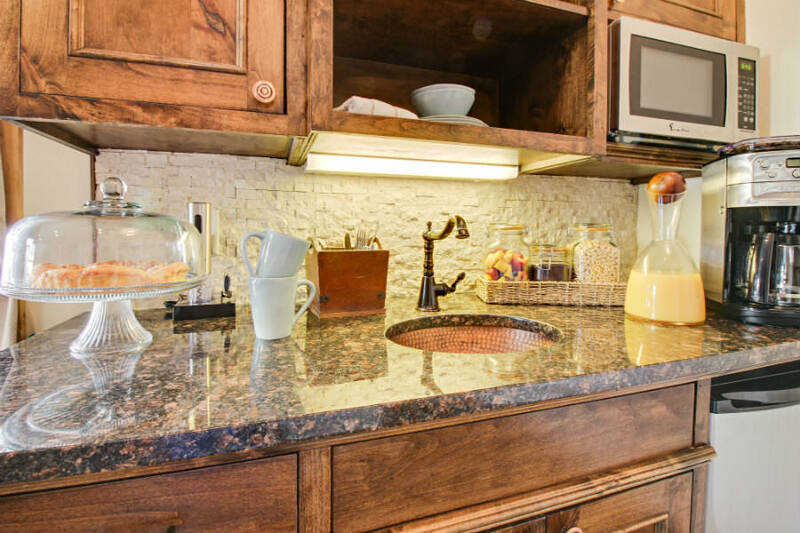 When it’s stored at high humidity for long periods, a small portion of alcohol evaporates from the barrel. The evaporating alcohol, called angel’s share, is believed to be guardian angels watching over the wine while it ages. 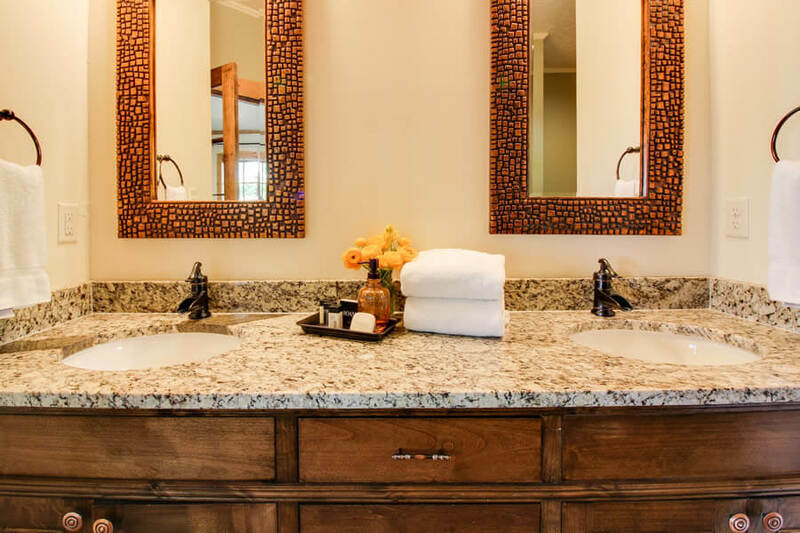 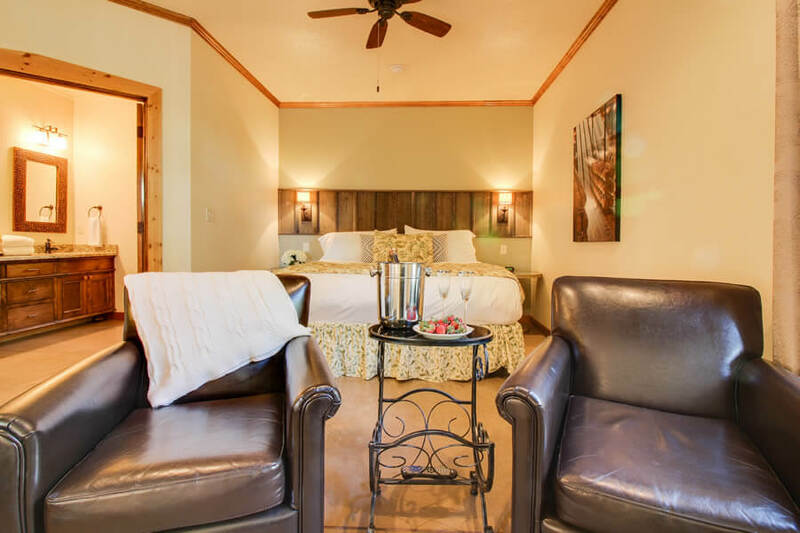 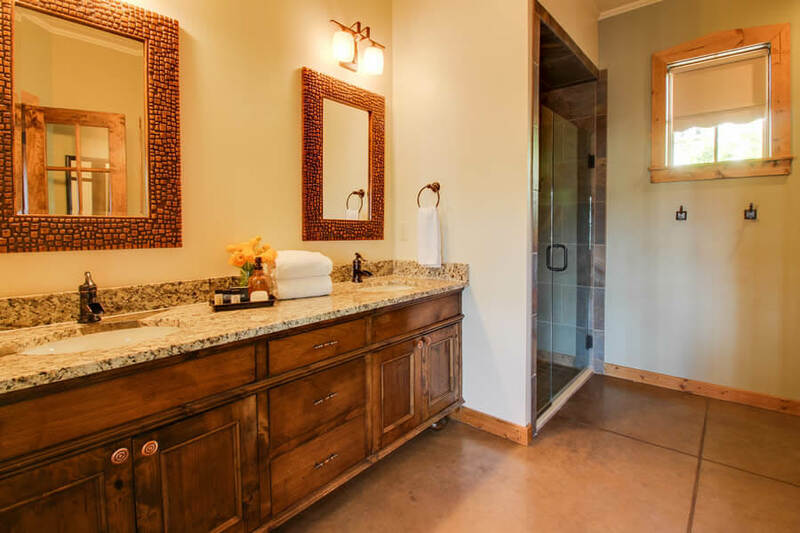 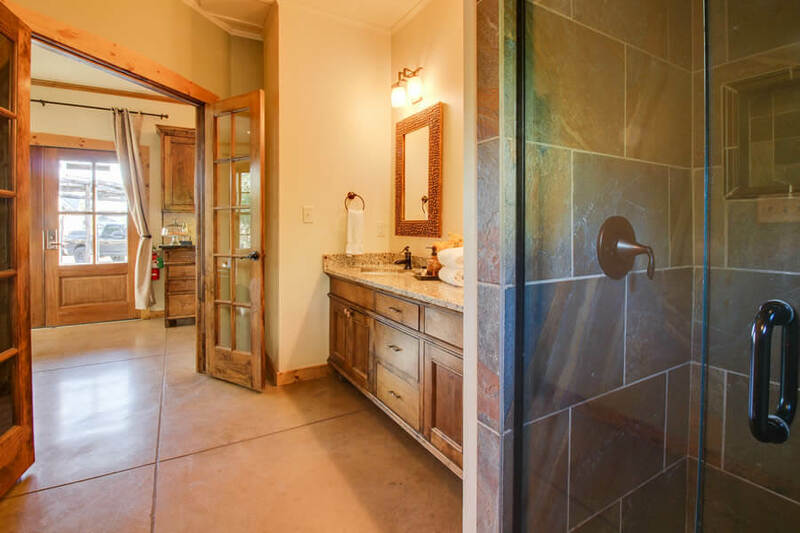 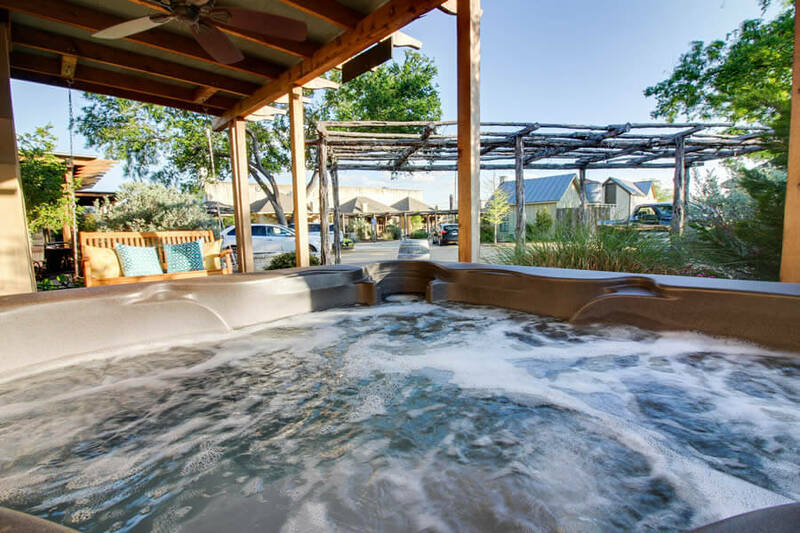 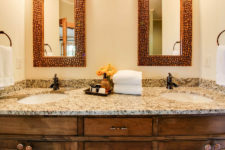 Named after this belief, the Angel’s Share suite at our Fredericksburg, TX B&B has lovely wood features and stone masonry that’s truly fit for an angel. 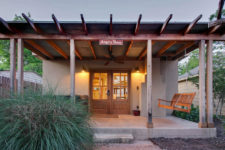 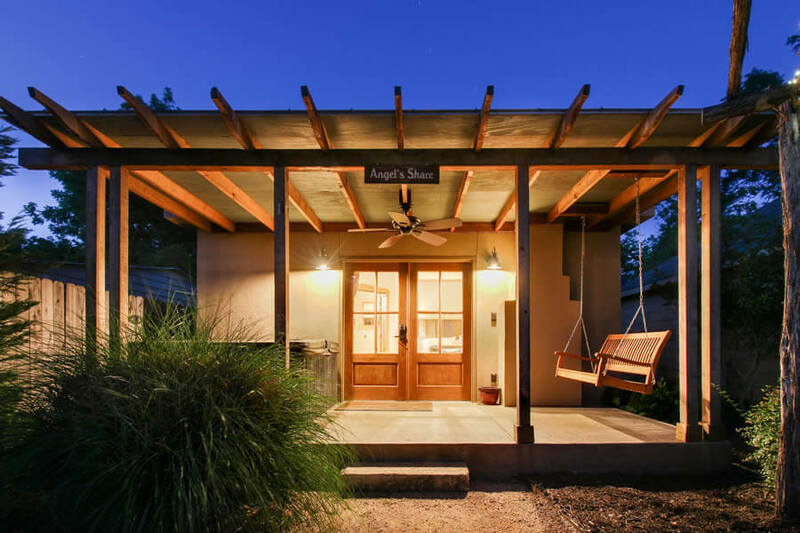 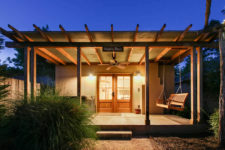 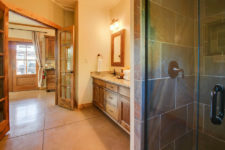 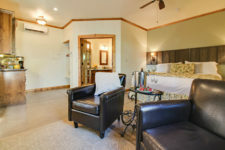 The Angel’s Share is truly a heavenly place to stay in Fredericksburg. This begins with the unique architecture that makes the Angel’s Share a one-of-a-kind bed and breakfast destination. 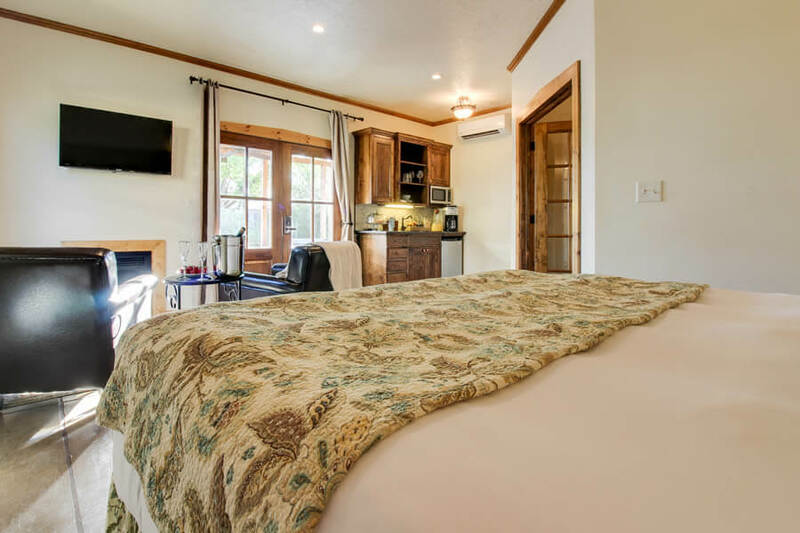 You’ll be amazed by the custom masonry and vaulted ceilings that show the dedication and expertise of the architect who designed the cabin. These aesthetic perks are bolstered by world-class modern amenities to pamper yourselves. In addition to that, the Angel’s Share is just a short distance from all of the shops, galleries, and restaurants on Main Street. 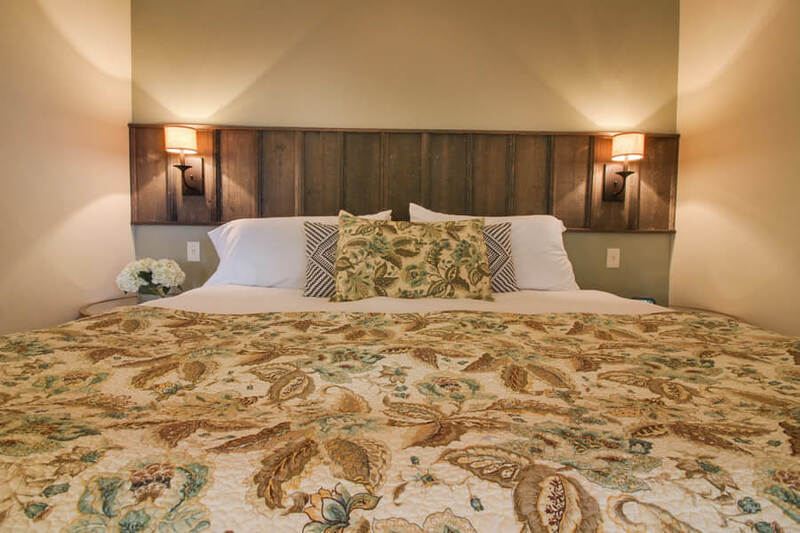 To enjoy a little piece of heaven on Earth, book your stay at the Angel’s Share today!